The Jazz class is modern dance/Jazz dance for adults. Helen who is an experienced dance teacher takes the class, she is also the ballet teacher and Waterside Gym is a recognised ballet centre for the area. 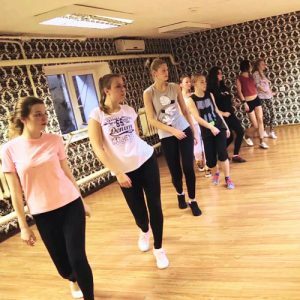 Our jazz dance classes are a fun and social class for beginners to professionals. You will learn posture coordination, turns steps and basic steps. Our class will teach you to gain confidence and lose all inhibitions holding you back.